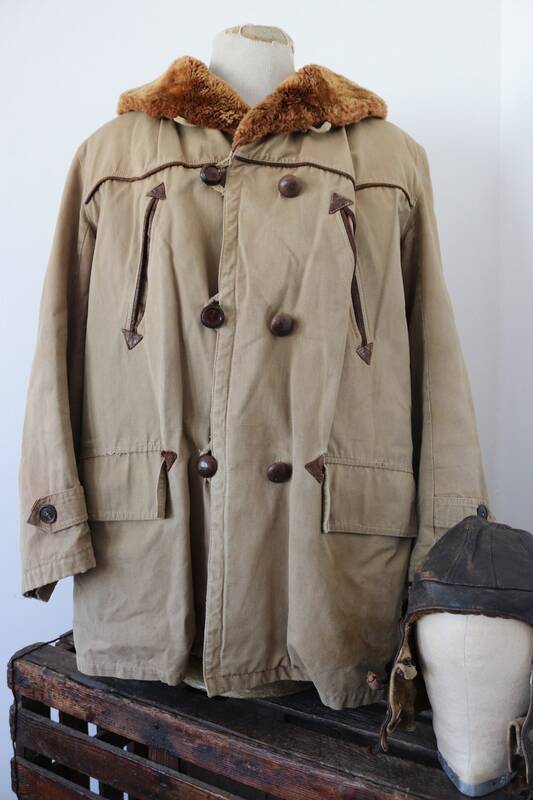 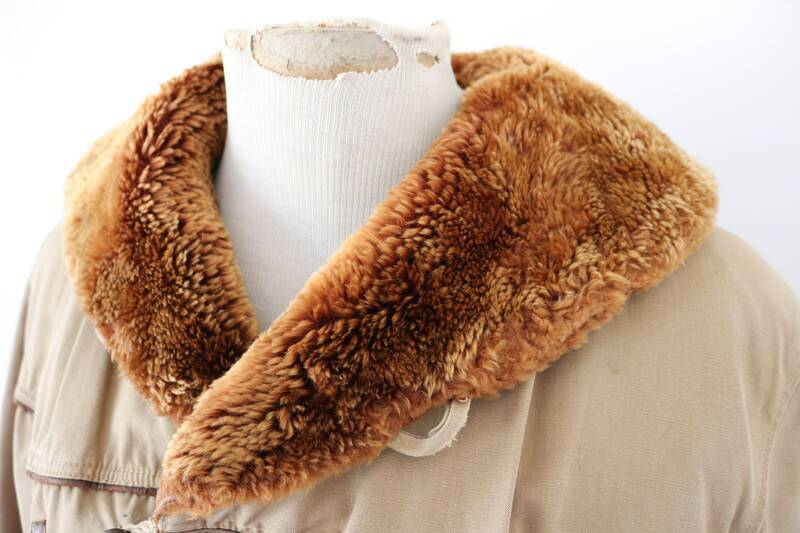 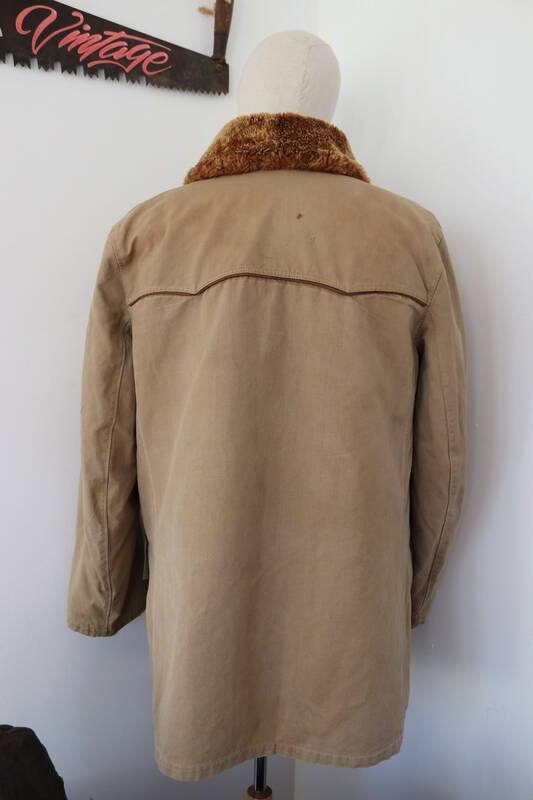 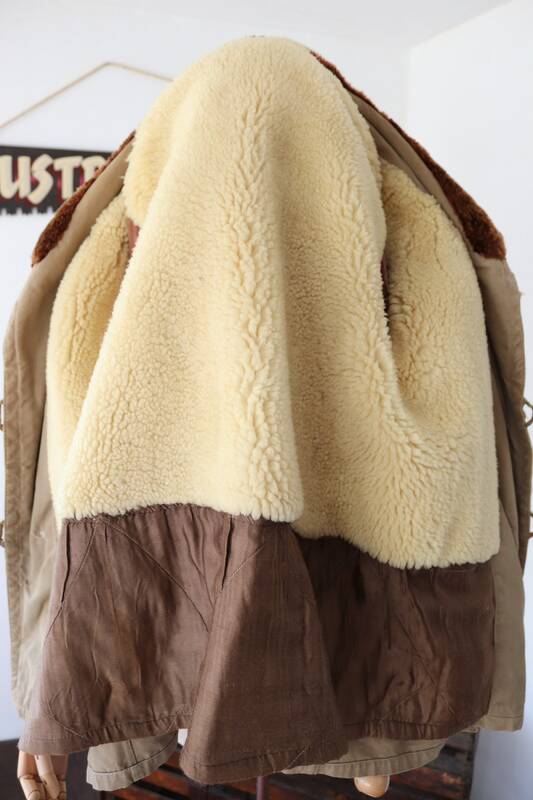 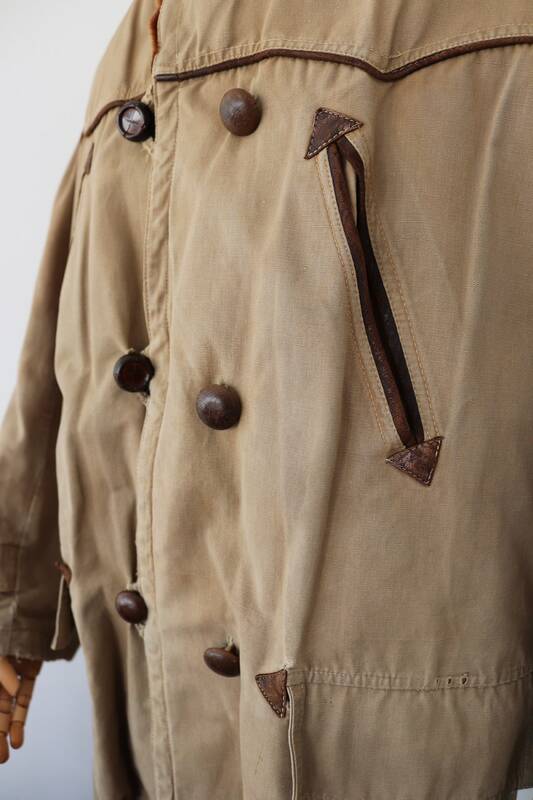 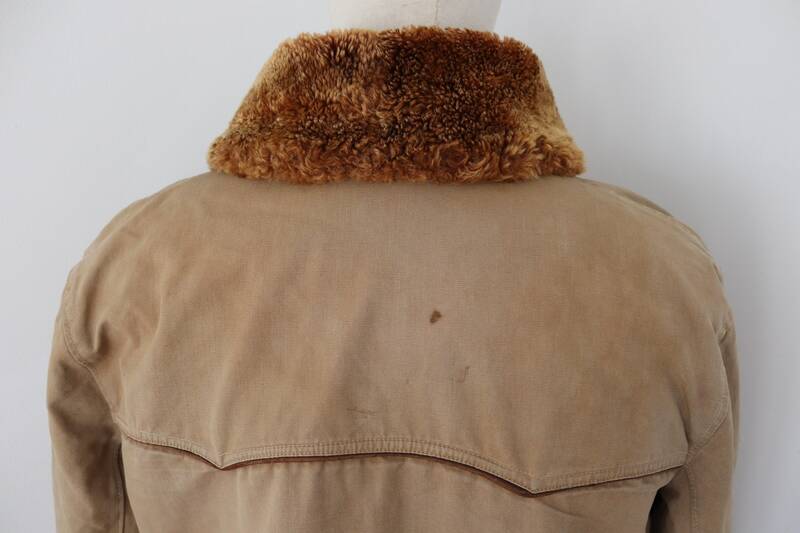 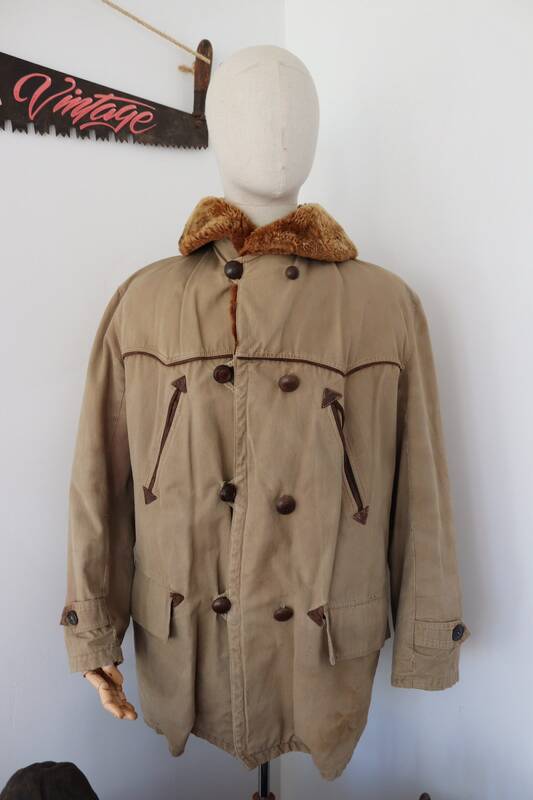 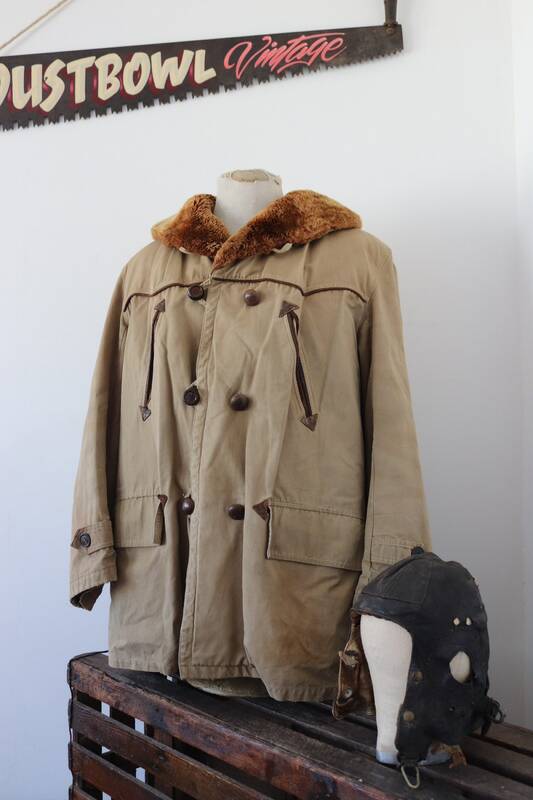 A tan brown French Canadienne barnstormer jacket, dating from the 1950s. 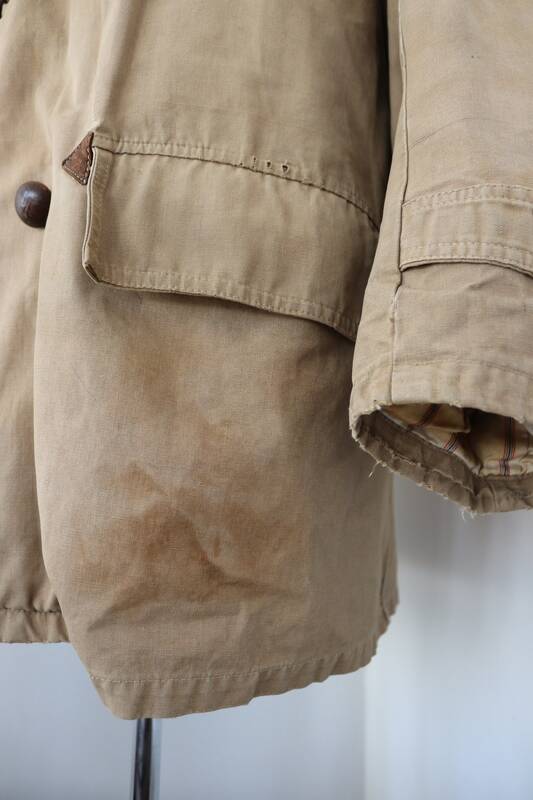 Noted flaws - missing the original belt, some marking on the front left, mismatched buttons, repaired button holes - please see photos. 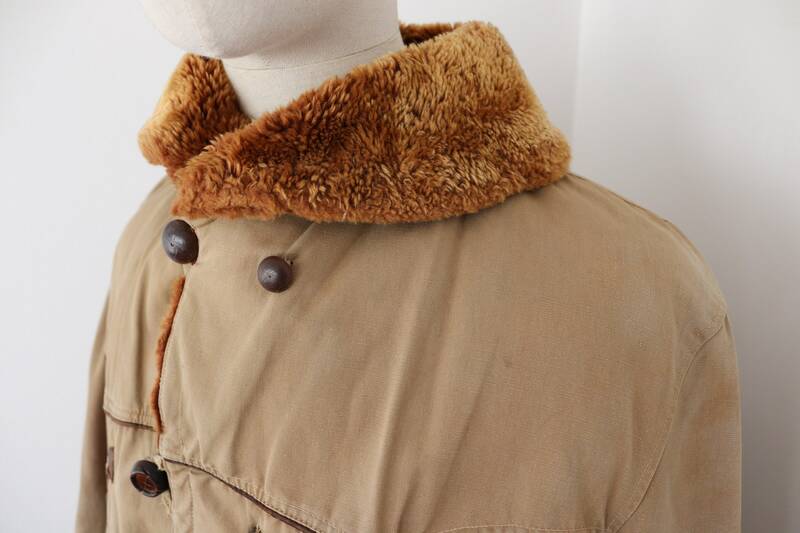 Lined in thick, non-removable sheepskin, soft mouton collar, leather edged pockets, great style and quality.